Please use the correct key to activate your Windows system or MS Office. When will I receive the key(s)? : You can get the license key via email within 1-12 hrs. If you haven't received the key for hours, please check the spam or junk mail folder. Windows 10 Home has a familiar yet expanded Start menu and a great new ways to get stuff done even across multiple devices.Includes the best Windows OS yet, Windows Ink, Windows Hello, Security, Xbox, DirectX 12 Gaming, Cortana and Microsoft Edge. 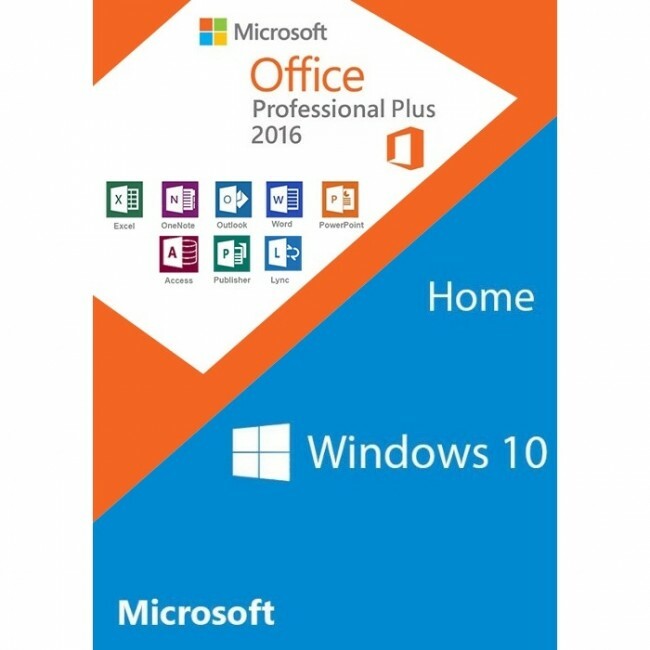 Office Pro Plus 2016 builds on the heritage of Microsoft’s popular productivity suite, introducing cloud integration, real-time collaborative editing tools, and brand-new features for each of the included programs – Word, Excel, PowerPoint, OneNote, Outlook, Publisher, Access, and Skype for Business. Please use the correct key to activate your Operating System or Office Suite.